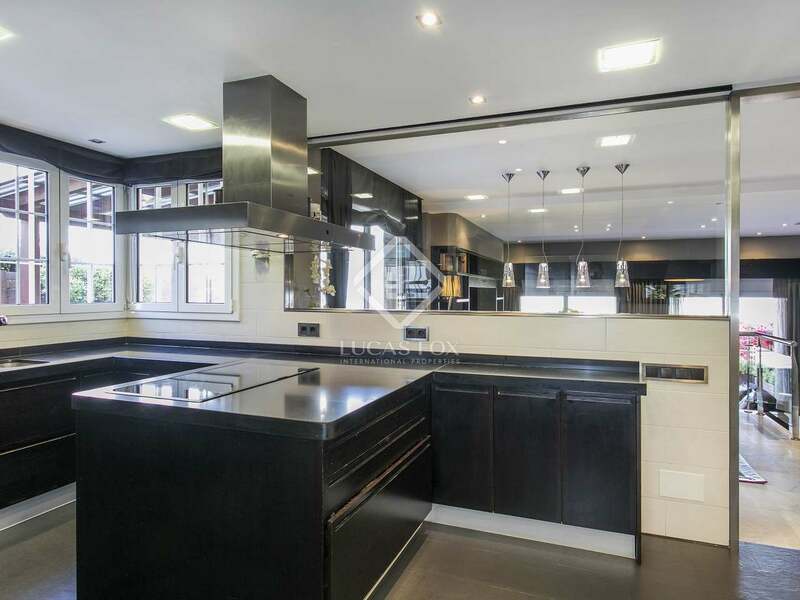 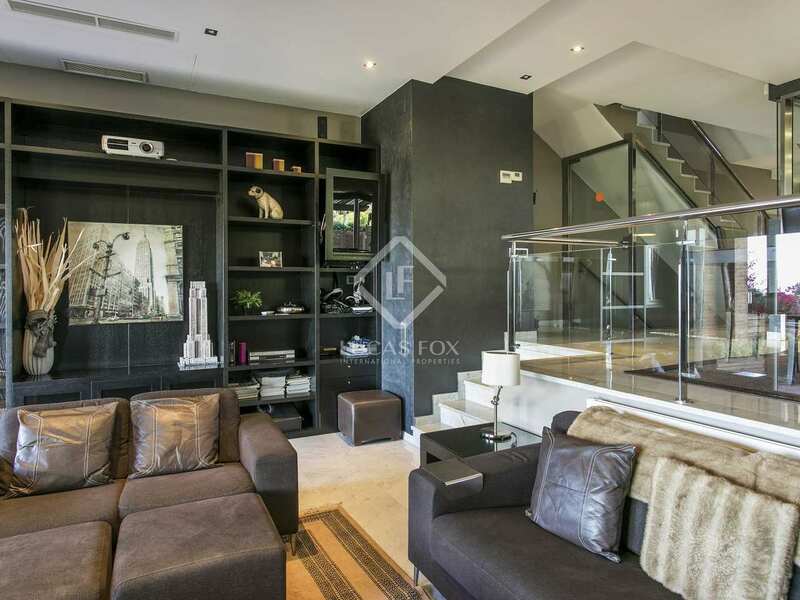 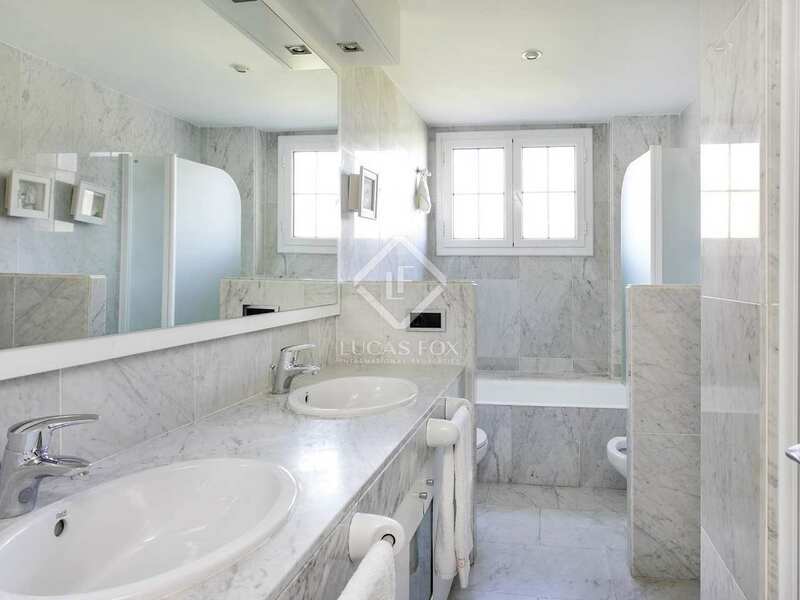 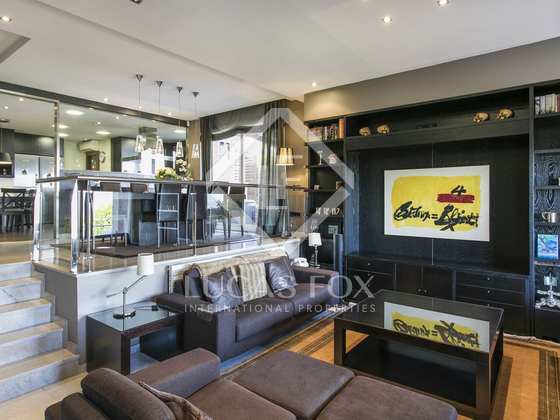 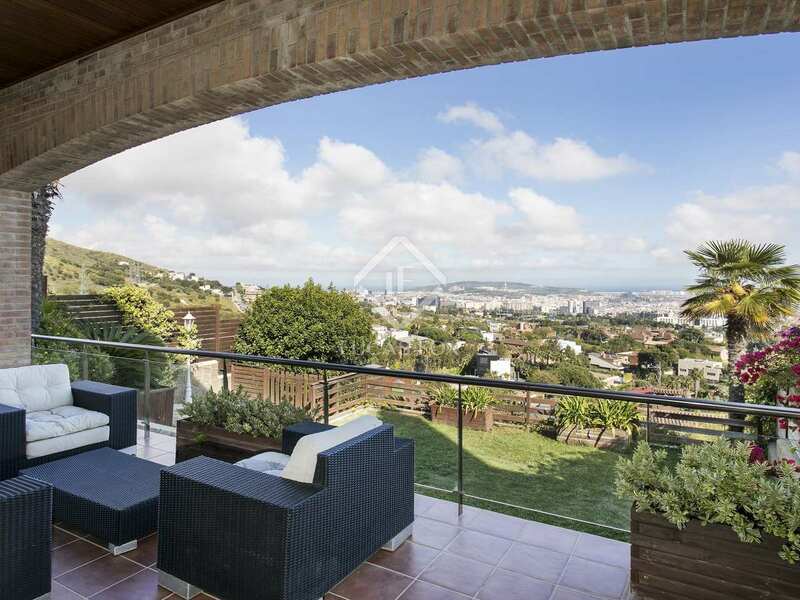 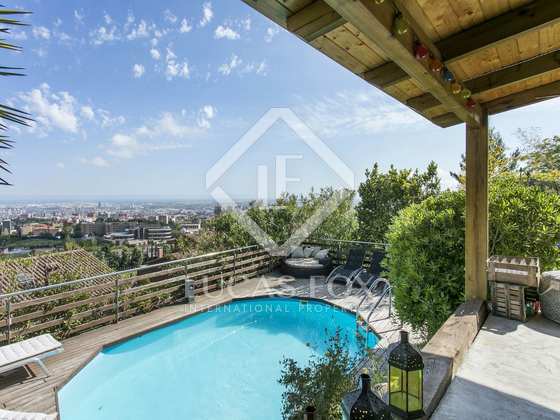 5-bedroom house with a private garden and pool with spectacular views for sale in Ciudad Diagonal, the best gated residential community in Esplugues. 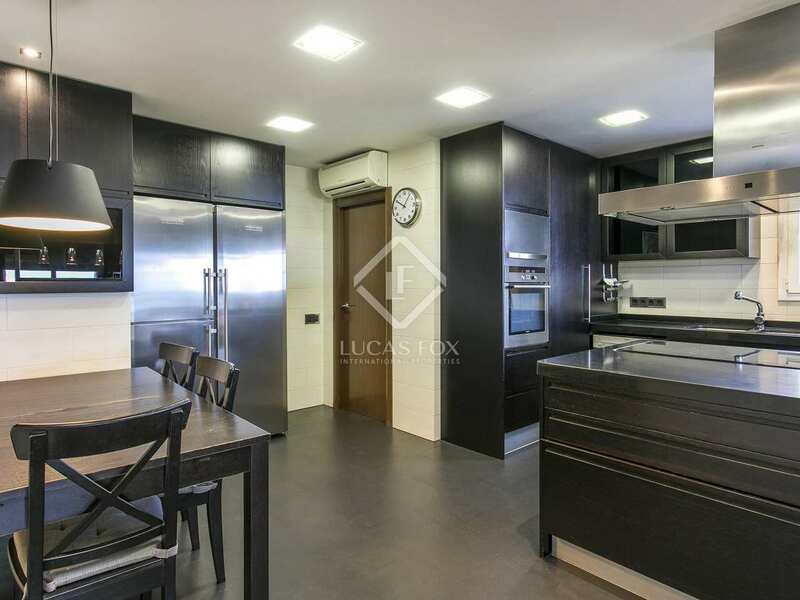 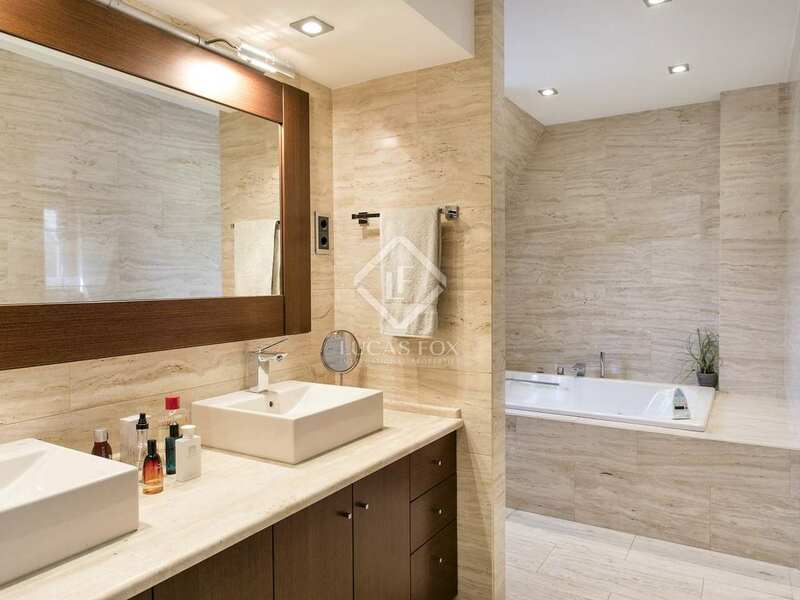 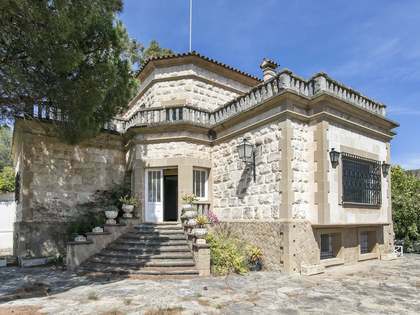 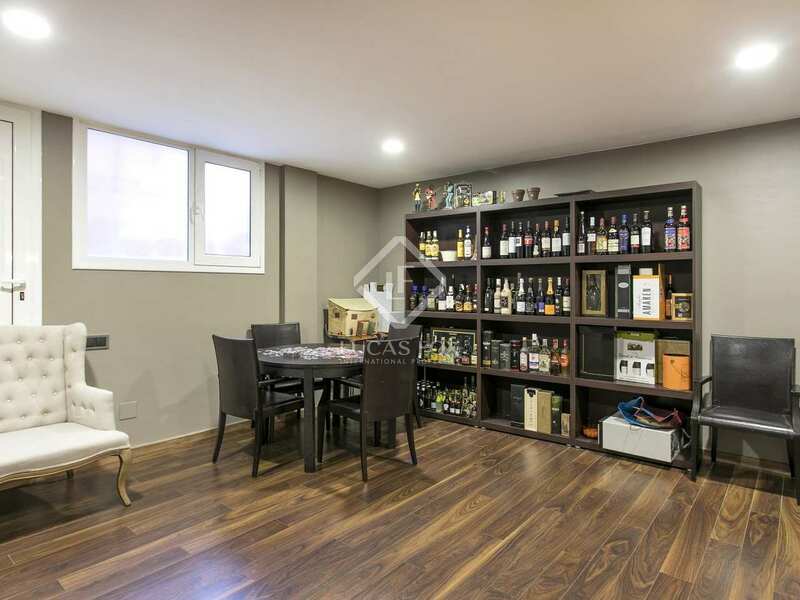 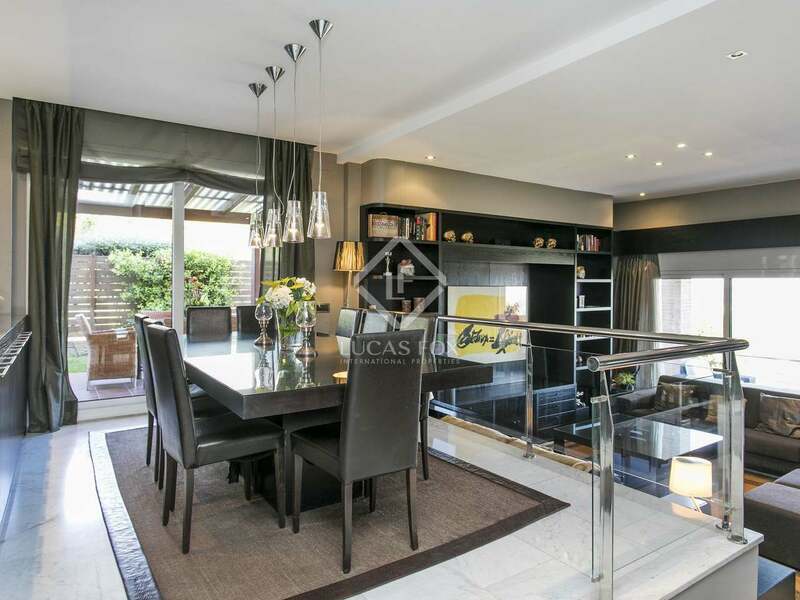 This excellent terraced house is located within a prestigious gated community with a concierge service and 24-hour security in Esplugues. 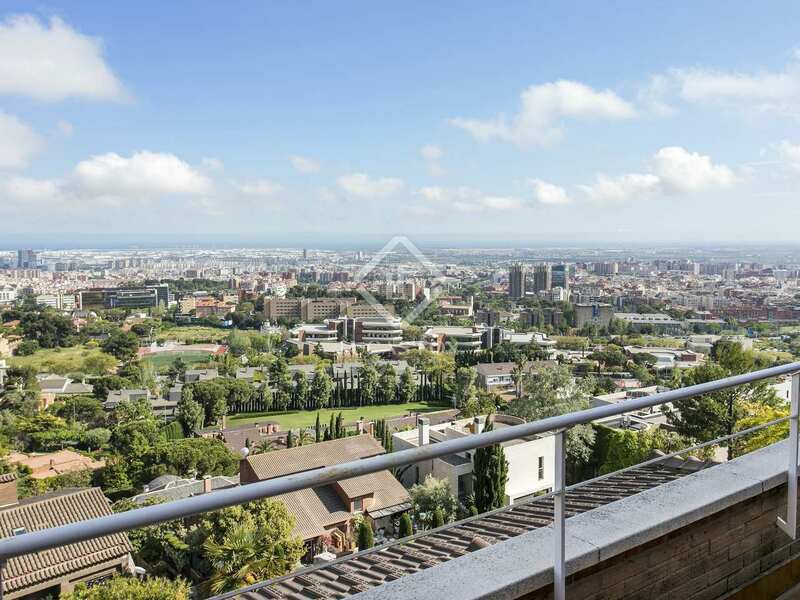 Ciudad Diagonal is the best location in Esplugues and within easy access of the city of Barcelona and International schools. 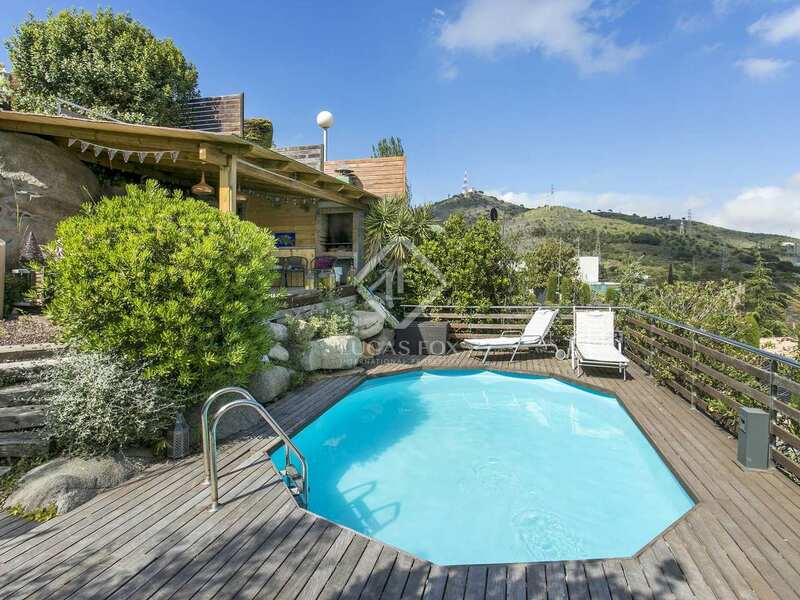 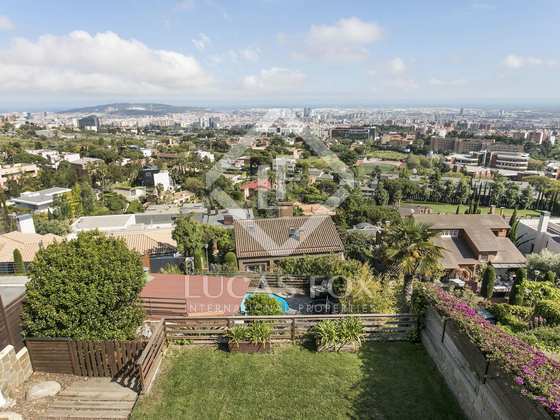 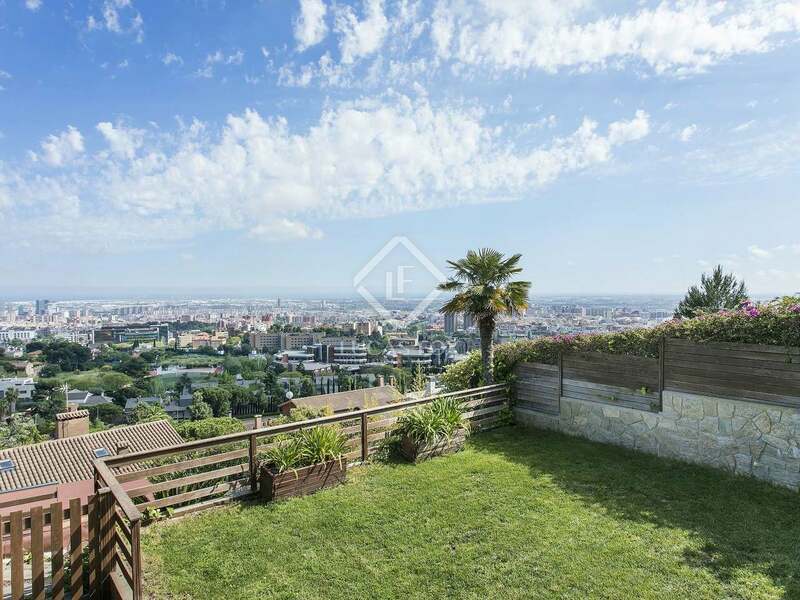 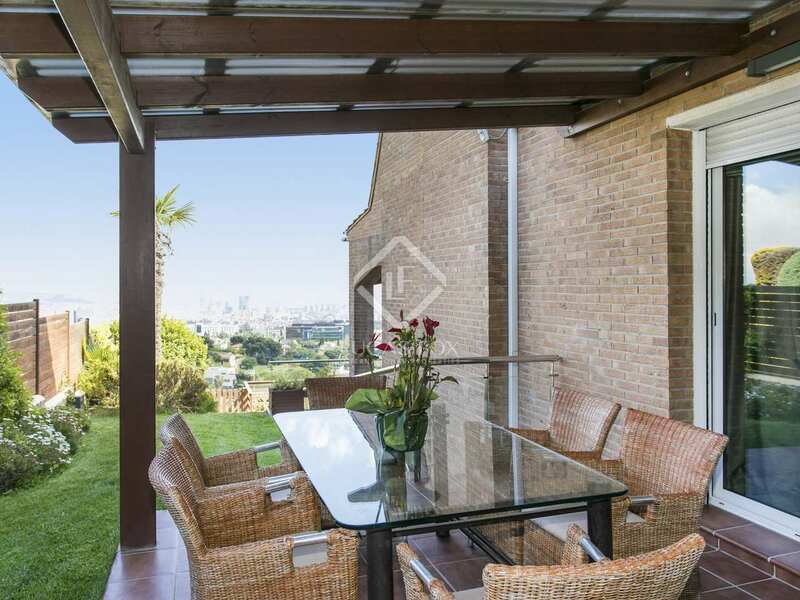 The house boasts a private garden that is spread over several levels and has a pool, barbecue and a chill out area where we can enjoy wonderful views of Barcelona and the Collserola Natural Park. 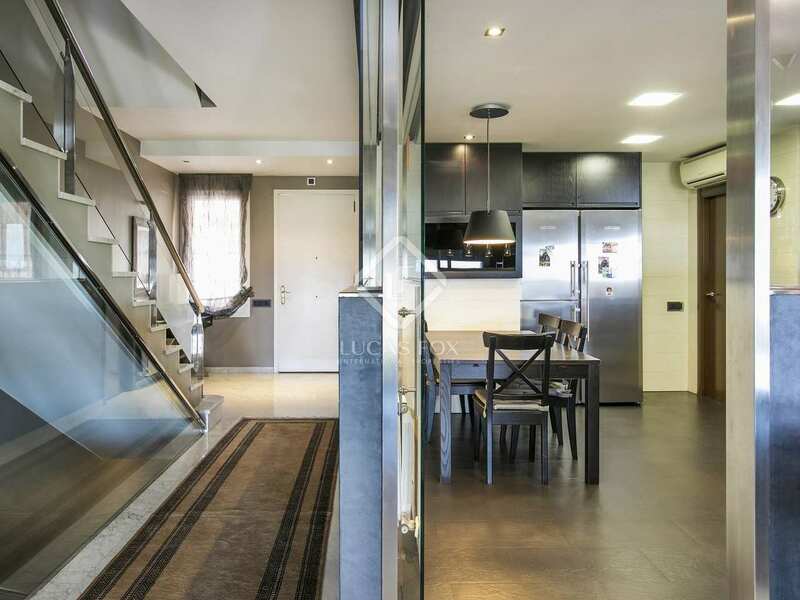 The house has a total of 4 levels which are all connected by both stairs and a lift. 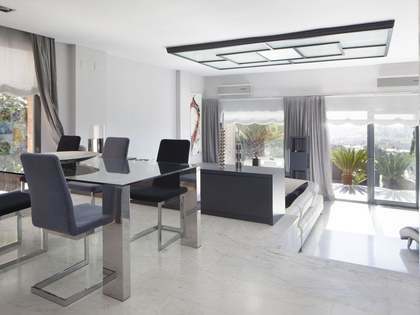 On the main floor we find the spacious 50 m² living room –dining room with garden access, the bright, glazed kitchen with a service area with a complete bathroom and a convenient guest toilet. 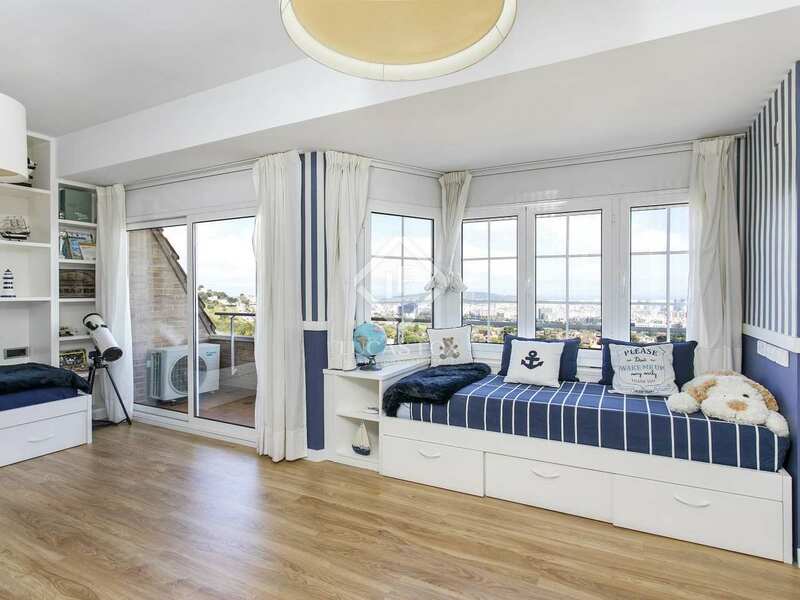 The first floor offers 4 bedrooms which include 2 double en-suite bedrooms and 2 single bedrooms with a shared bathroom, all of which are exterior and with views and one has a little terrace. 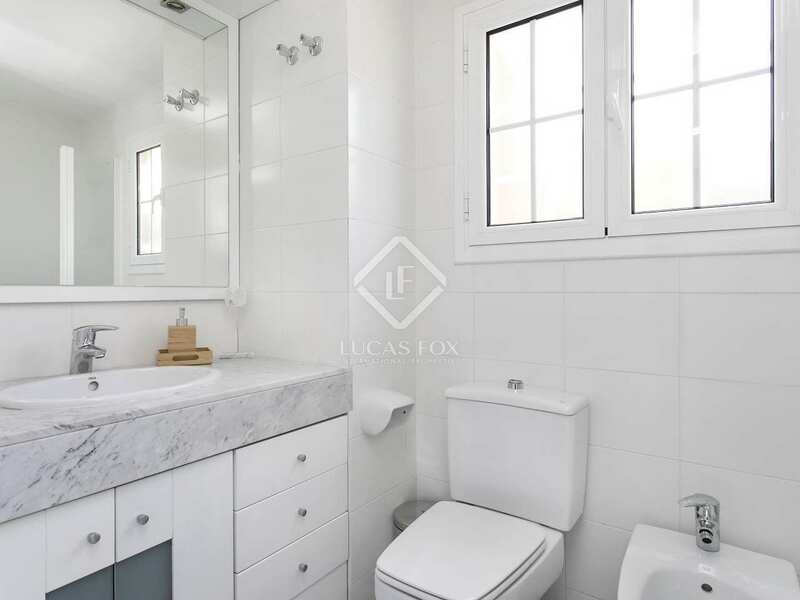 On the second and final floor we find the impressive 70 m² master suite with a complete bathroom with a shower and jacuzzi and a dressing room. 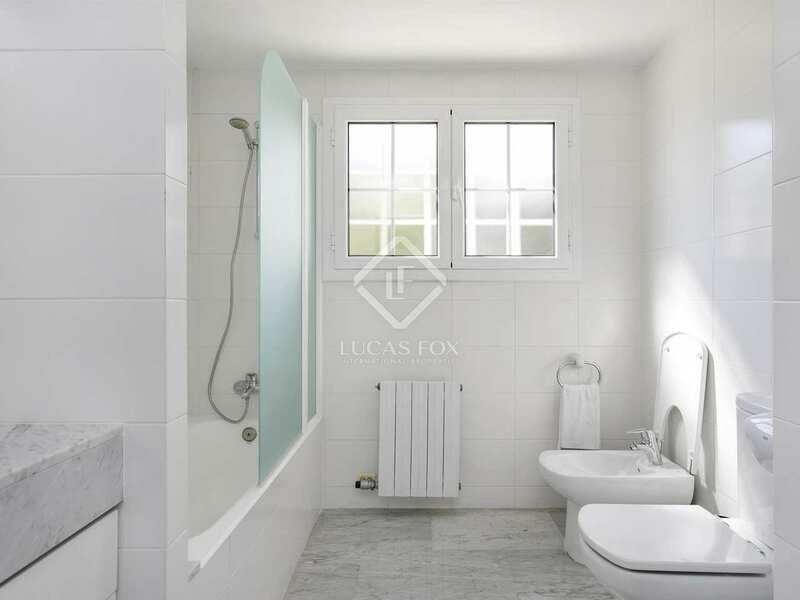 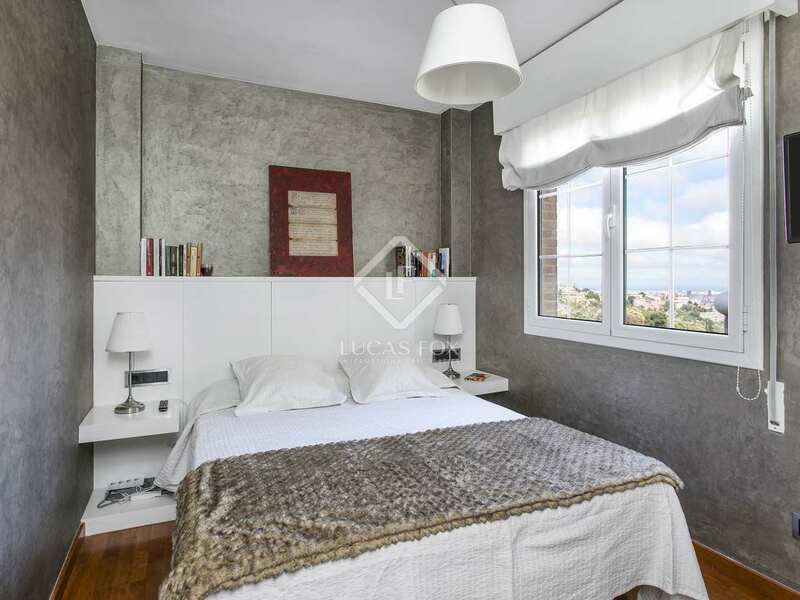 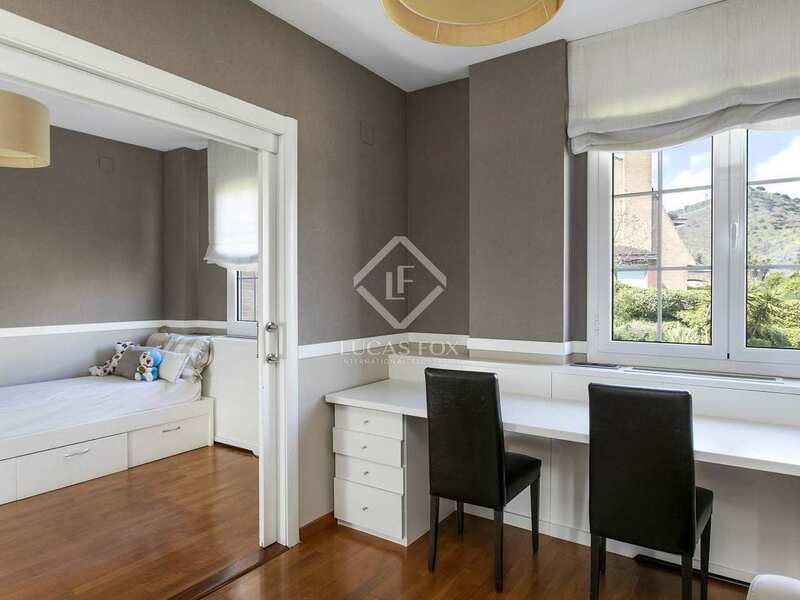 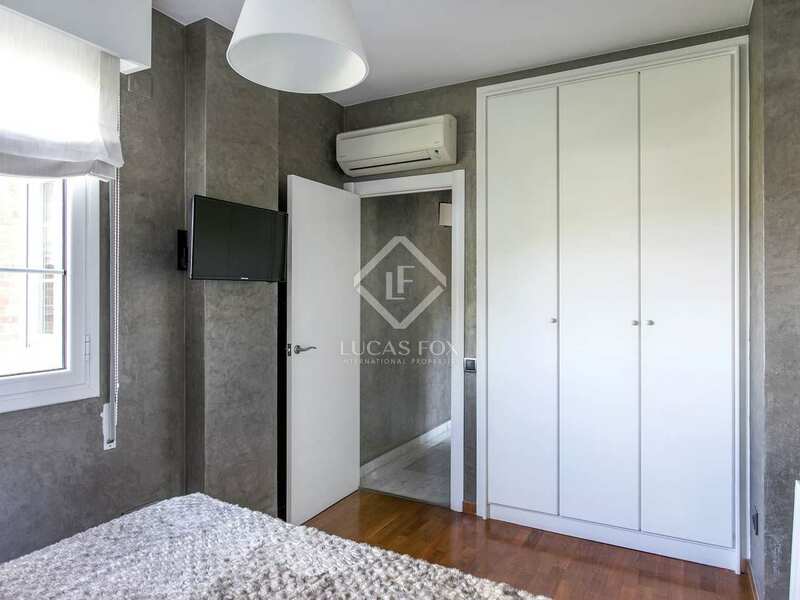 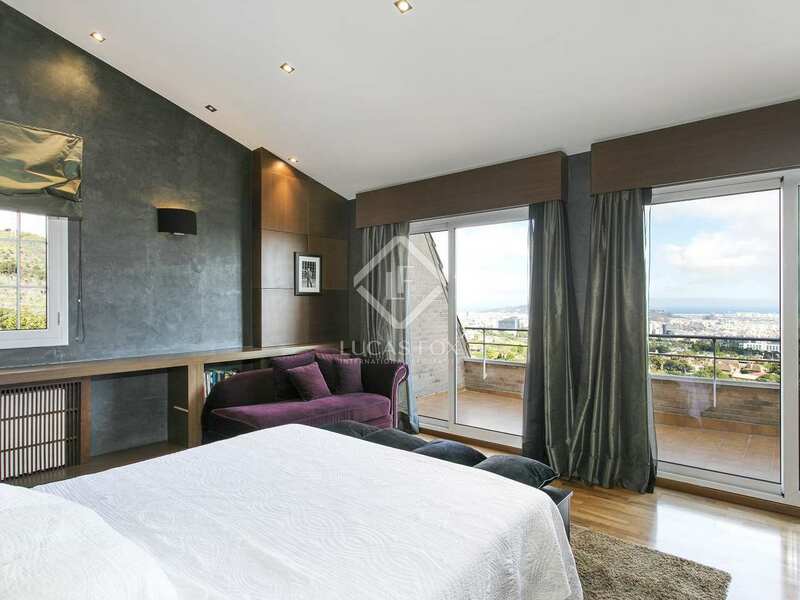 The master bedroom also has a spacious terrace with wonderful views of Barcelona and Llobregat. 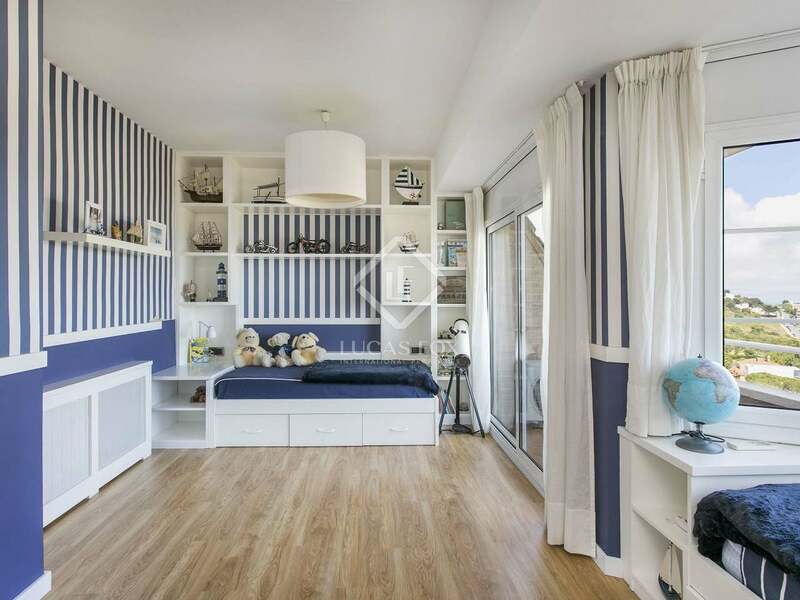 On the lower ground floor we find a 3-car garage and a 15 m² storage room as well as a great multipurpose room with a bathroom that is ideal as a home cinema, play room or for family celebrations for example. 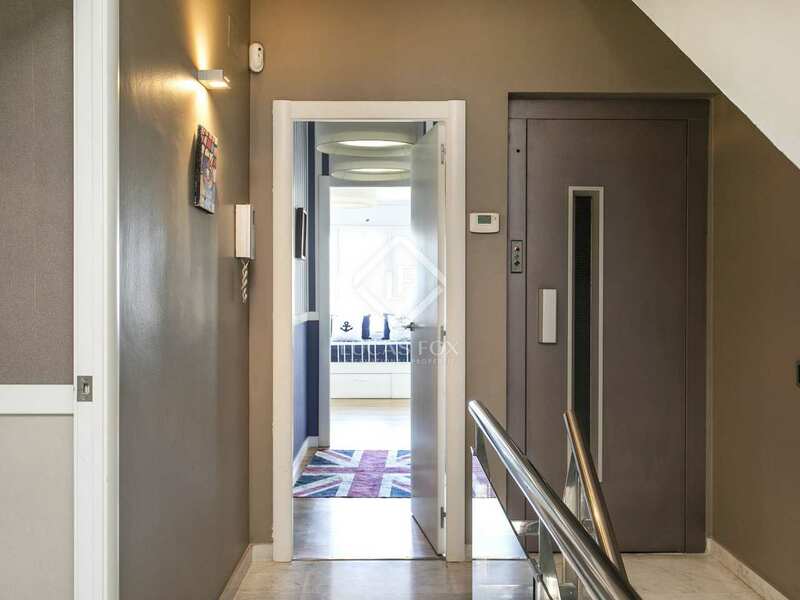 The property boasts high quality finishes such as aluminium joinery, air conditioning and central heating, wooden flooring and a complete water softening system. 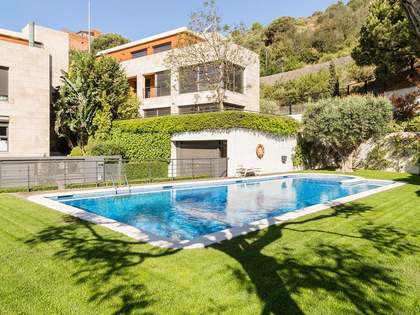 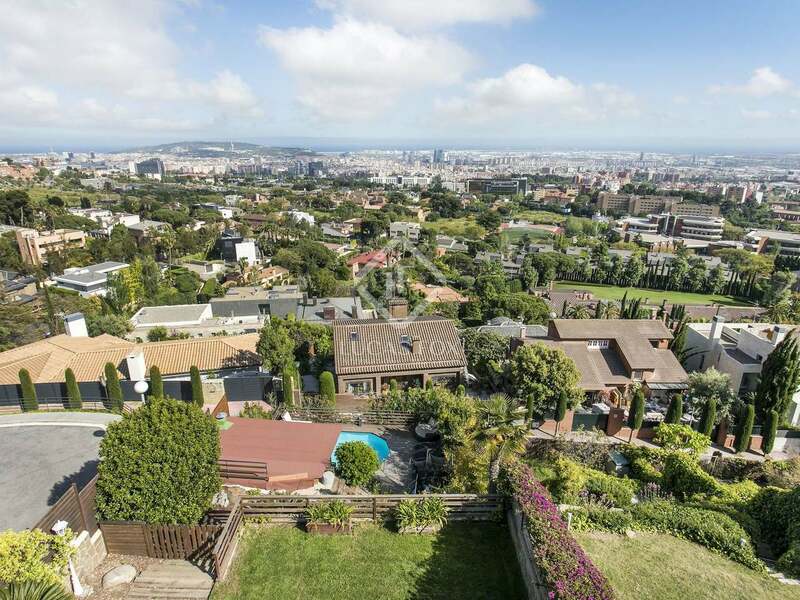 The house has a built surface area of 425 m² according to Nota Simple and a 330 m² garden. 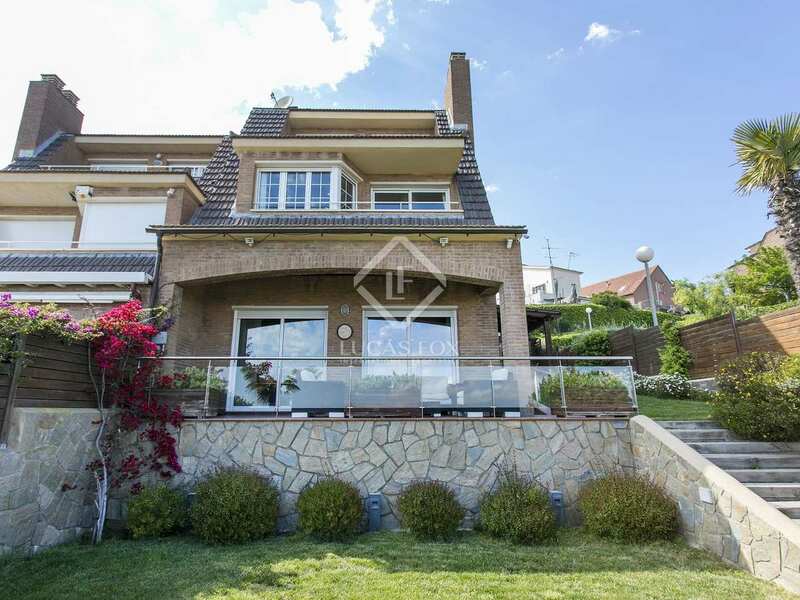 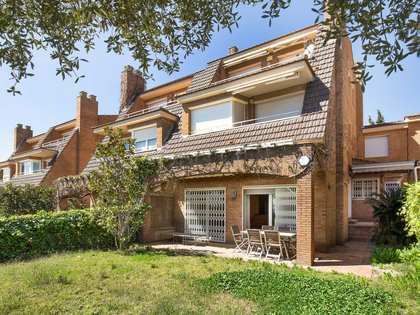 House located in the exclusive La Miranda residential area of Esplugues de Llobregat, close to the German school, 10 minutes from Barcelona City and with good access to the airport.